Scientists have noted that nighttime temperatures -- overnight lows, in particular -- are rising at a faster rate than daytime highs. 'We know this has been going on and impacting firefighting operations.' Tim Brown, Western Regional Climate Ctr. "It is a significant difference," says Tim Brown, who directs the Western Regional Climate Center in Reno. 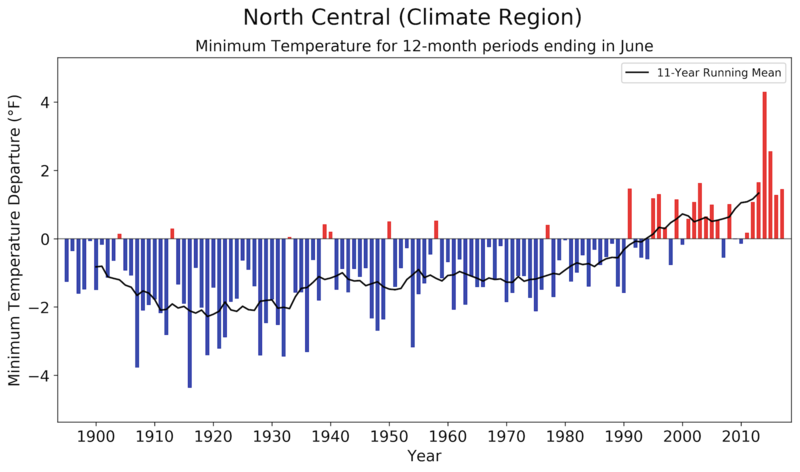 "Both temperatures are rising, but the minimum temperatures are rising even more." Brown says the difference in rates first started showing up in the data around 1980, and that overnight lows are now running about 2 degrees F above the 1981-2010 period that climate scientists use as a benchmark. "We can see both the trends in the daily high temperatures," he notes, "but an even stronger trend in the daily night time temperature." And it's not good news for firefighters, who have complained in recent years that wildfires have not been "laying down" at night as they had in the past. Brown says the trend has been particularly apparent at this time of year, and in the part of the state where the season's first two major fires erupted. "This rise has been occurring all over the state," says Brown. "But where the current fires are -- the County Fire, the Pawnee Fire -- yes, over the last six years, we can see from these observations that the nighttime temperatures have been particularly warmer than usual during the spring months and into summer." It could've been a contributing factor when the County Fire started devouring landscape at the rate of 1,000 acres an hour, growing fourfold in size on its first night. The higher nighttime temperatures were just part of a witch's brew of heat, low humidity, erratic winds, and terrain that made for a difficult fire fight. "We know this has been going on and impacting firefighting operations," says Brown. 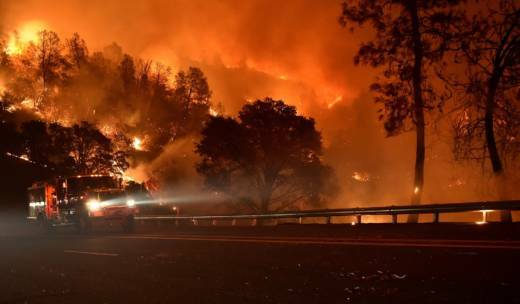 California's fire season is off to an early start. By early July, Cal Fire had responded to about 260 more fires than by the same time last year. Brown says that since nights have warmed and humidity dropped, there isn't as much moisture for "cured" or dead vegetation to absorb from the air. And, he says, if fire crews can't make as much headway at night as they used to, it means there is also more smoke to contend with. "There's a substantial increase in the potential for public health impacts that we can link to this increase in nighttime temperature," says Brown.